“I am sorry mom. I am really sorry, but I have to do this. I’ll return this as soon as possible.” said Sahil to himself. “What? Have you looked everywhere? You may have dropped it somewhere. Don’t jump to any conclusions.” replied her husband. “Where is the money Shanta, tell me! Tell me, or I’ll call the police!” screamed Shanti at her maid servant. “I don’t know miem saab. I didn’t steal it.” She sobbed. “She won’t confess like this. Shekhar darling, please call the police. Call the police now!” said Shanti looking towards Shekhar. “No miem saab please don’t call the police, I didn’t do anything!” Shanta sobbed kneeling on the floor and catching hold of Shanti’s legs. “It’s ok Shanti just let her go. Rs 30000 isn’t a big deal for us. I don’t want to make this a huge issue.” replied Shekhar. “Ok, I am letting you go. But, don’t you dare show your face here again, you get it?” said Shanti angrily. As Shanta ran out of the door sobbing, Sahil entered the house. Unaware of the events that just took place; he looked at his mother with a puzzled look. “It’s nothing beta, she stole money from my purse and now she is shedding her crocodile tears. Anyways where have you been all night? I don’t remember seeing you at all last evening.” replied Shanti. “Err… Nothing mom, I was… err… in my room studying. Exams are round the corner right.” Sahil replied with a smile. “Very good beta. Study hard and do well this time around too OK?” she said with a smile. Shekhar Malpani was an average upper middle class man, who counted himself among the elite. Sahil was Shekhar and Shanti Malpani’s only child. He was a bright, well behaved and very friendly fifteen year old kid. Everything was going well until a couple of months back, when Shekhar started sending Sahil for mathematics tuitions to a nearby coaching center where most of the rich kids used to come. “Can I come with you guys?” Sahil asked Aneesh, a twelfth class student studying mathematics at the same tuition center Sahil went to. Unlike Sahil, Aneesh was known for creating a nuisance everywhere he went. “You want to come with us? We aren’t going to a playground, kid. Go, go do your homework.” Replied Aneesh and the rest started laughing. “Hey! Don’t you dare call me a kid! I am no kid, you get it! I am no kid!” retorted Sahil angrily. “Hmmm I guess, let him come with us. He may just be some entertainment for us. But hey, don’t expect us to pay for your stuff. You want the stuff, you pay for it yourself. Be ready tomorrow night.” said Raghu, one of Aneesh’s friends. “I told you not to bring these kids in here didn’t I?” replied Salim Bhai. “Aree its ok Salim Bhai, he’s a friend and hey, don’t call him a kid, else you are gonna get a piece of his mind too.” said Aneesh giving a pat on Sahil’s back. Although Sahil tried pretty hard to pretend that he was ok with all that was going on, deep within his heart was beating really hard. “Raghu, pass it on to Sahil and then to me.” said Aneesh. “Err…Aneesh, how much does this cost. I have Rs 100 with me. Will that do?” asked Sahil. “What? You got just Rs 100 with you? You aren’t here to have a pizza, this is serious stuff. Dude, you will have to add a couple of zeroes more to it. It’s ok, I’ll pay for you this time, and you can pay me later. Now come on, have fun.” replied Aneesh. “Thanks Aneesh. You are amazing buddy!” said Sahil. “Oh come on, it’s just for this one time. Who’s going to have this every single day? Tomorrow I’ll go and ask dad for some money to be given at school and pay Aneesh off. After that it’s all over. I’ll soon return to my earlier life” Sahil tried to convince himself. “Here’s your money Aneesh. Thanks for everything.” said Sahil. “No problems buddy. Anytime! Hey, we are going there again tonight. Wanna come?” asked Aneesh. “Err… no Aneesh, you carry on. I am done with this.” replied Sahil. “What? And I thought you weren’t a kid. But I guess I was wrong. Sigh! It’s ok; you can go to mommy and have your milk.” Aneesh said mockingly. “Hey come on! I tried it right? That proves I am no kid. The point is, where will I get the money from? My dad isn’t as rich as yours, you know that.” retorted Sahil. “Where there’s a will, there’s a way my friend. Ok fine, this one is a treat from my side. Happy now!” said Aneesh in his sweetest tone. “Yay! Thanks Aneesh, you are the best!” replied Sahil. This soon started becoming a regular affair. Sahil started to steal from home and started selling his things to generate funds for his new hobby. That night, as Sahil was sitting in his room studying, he heard someone whistle below his window. He knew it was a signal from Aneesh. He was going to take a step higher today. “Hello.” said Shanti, as she picked up the phone. “I am really sorry to hear the news about Sahil, Shanti.” said the voice on the other side. “What? What news?” asked Shanti. Every year drug trafficking claims lives of thousands of young teenagers all over the world. It’s really sad when bright young kids like Sahil spoil their lives getting addicted to drugs. When they all try it for the first time, they all feel there will be a return to normal life one day, but, in most case, there is no return. Even if there is a return, it’s a very painful journey. Liked the Stuff you read here? Subscribe to Sensible Bakwas for free and get the latest articles in your mailbox as they are pulished! Tavish is the administrator and founder of Sensible Bakwas. He is a software engineer by profession and a writer by passion. In case you want to get in touch with him, he is an email away at tavish.chadha@gmail.com. Hope you enjoy your time here. Do leave your feedback in the comment section here. It is really pitiable.. the situation kids and adults too, let themselves into!! And to think that parents are helpless in most cases. Or they couldn’t care as they are too busy with their own lives. In most of the cases I have heard, it’s the latter case. When parents just don’t have the time to bring a child up properly, I don’t understand why they have them in the first place! A story to bring out a message loud and clear. This is a true story in many houses today. All the Best for BAT – 14. Thanks Rumya. Yes, unfortunately it’s true in most homes. It’s really sad and unfortunate. A story with a strong social message. All the best for BAT! A sad reality! Peer pressure. Monster drug traffickers! And death is just too much a punishment for the innocent like Sahil! This should send a strong message for our youth! They should be warned that they should not give in to peer pressure! It will never work out! Trying to be in is not the be-all and end-all of being accepted! This is a very nice story Tavish! I like it! One can’t help but wonder if only the mother hadn’t been too quick to pin the blame on the maid and had followed up the matter, could she perhaps have caught her son before if became too late? Gritty and hard hitting. well thats what any mother would do.. i mean who the hell would suspect that their son is stealing? Yes, had she found out earlier things may have been different… Thanks for you comments buddy! Well thought off and written!! 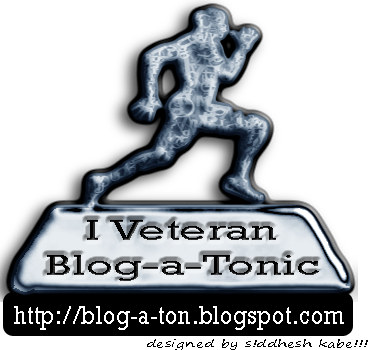 Planned post…wish u luck for BATOM – 14!! Thanks allot Viyoma. All the best to you too! All the best for BAT.. It feels so good that all the posts I have read so far, each of them is unique in their take on ‘Return’-and this one has got a message too. It a had a great flow too. Thanks Jaspreet! All the best to u too!! The malice have more social and familial factors contributing and hence making the children more vulnerable.. Thanks Mahesh. Yeah, the easy access to to drugs is a major concern. Oh my God, that was unexpected! Speechless. sometimes words fail me. Good job Tavish. Its a great piece of work Tavish, Have seen a lot of my friends and people around spoiling their life for drugs. I could recall those days when we friends used to counter argue with them for doing it!!! But cant help it. As it is said “You can bring the horse to the river, but can’t force it to drink” The change should come from within and should understand the worst side of it! yeah dude sometimes u learn only when life slaps you on the face really hard. But, you now what? I am glad u tried to change ur frnds. People generally don’t do that! Thanks for your comments! oh and a very warm welcome to Sensible Bakwas! The mind can be so deceptive during teen years! If only kids learned to choose life over drug lies. Hey Tav, good work buddy. Always get good stuff from you. Did I tell you something during the BPL? – You always used to write much better than what I expected of you. Maybe it was your casual attitude that lessened my expectations… but your writeups covered for everything. This is a common story nowadays… a lot of teens are getting into gaanja and all… What saddens me more is the Police having a cut in the revenues of these gaanja sellers (not always though). I see a similar thing happening at a pool room near my house… feel really sorry for the parents of those teens. But – I intend to do something about it. for sure. FYI – My school-time best friend died of a drug overdose a couple of years ago. His name was Amit. Miss him. well, I havent met anyone know has been a drug addict, but i know the extent to which it has plagued our society… and its a well known fact that the biggest drug dealers belong to the narcotic cells in the police… and please do something about it if u can…. will be helpful in saving the future generations…. Such a sad reality. Peer pressure and easy access to drugs is the trap for many innocents. I think it all boils down to being accepted and loved by friends, family and everyone around you. All the best for BAT. Peer pressure has lead to many a silent demise. The post was a thoughtful contribution. As for this menace called ‘drug abuse’ well the bitter truth is, its considered cool and fashionable to indulge in things like these that kill innocence in the formative years of one’s life! The whole system is biased and hypocritical. Though there is a possibility to curb the trafficking, the authorities won’t do so ’cause they’re ‘in’ too! Why’d they bother when the can sit and make some easy money? Sad and sorry state of affairs! Common and simple story , but in tavish a style .. Which just makes it a pleasant read .. Well connected to the theme . Written well to keep the read hooked . A story very well written and very true for many kids. An interesting take on this BAT. You wrote a forward-backward post, nice one!!!! Didnt quite get the “bakwaas” in the post ! It was all very “sensible” to me-a very touching portrayal of one of the most open as also fatal secrets of modern society. Enjoyed the flow of your writing just as much as your careful choice of words in the dialogue. please read my post n support me by voting if u find it interesting…. Loved the presentation, dude. It was pacy. Doesn’t falter anywhere. Drug abuse has become so ubiquitous nowadays. You’ve brought out the ill effects of it very well. By the way, (guess you already know this) a new novel by Frederick Forsyth has come out. Titled “The Cobra” which is about drug trafficking in the world market. If you are a serious reader, you should pick it up, or any FF’s novel for that matter. wow… a story with message…. good one! Thoughtful and thought provoking! Good one, Tavish! My first composition. Click on the link below the video for the lyrics. Blogging Awards!! Click on the images to read the winning posts! 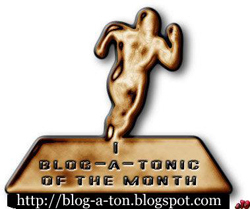 Blog-a-tonic of the month for March 2010 and April 2010. I am a Veteran BATonic.